1. INTRO: "Last Issue for 2015..."
2. PROMO: ARE YOU A TRAVEL AGENT? 3. ARTICLE: "St. Barth's Goodbyes Are Always The Hardest"
5. NEWS ITEM: "AirSXM.eu Publishes Last Newsletter Issue for 2015"
7. AGENDA: "Santa Claus Is Coming To St. Barths"
INTRO: "Last Issue for 2015..."
This is our last issue... The end of an era. I have been publishing this newsletter on this AirSXM.eu site since May 2009. After more than six years with a hiatus in 2012 when I was appointed Policy Advisor in the Parliament of St. Maarten, and with the advent of mobile devices and 70% of reader using mobile devices to surf the internet, this website's content management system has become obsolete. The theme of this last issue is about saying goodbyes with sad stories about leaving St. Barths. It will be sad day for me when I have to give up using the format on this website to promote my newsletter, my AirSXM businesses and my AirSXM websites. In the meantime, you can read more about our eBook, our Shared Charters, our VIP Services, our Helicopter Service and our Private Jet service on our website over at AirSXM.com. PS: If you are a travel agent, a concierge services provider or a private jet operator and if you need assistance for your clients transitting through St. Maarten's SXM Airport, you can contact me by emailing sales@airsxm.com. In case you are reading about AirStMaarten's private charters program for the first time, here is some background information on our shared charters. A Shared Charter is when you book a Private Charter and you Only Pay for the Seat You Occupy. Not for the whole aircraft. 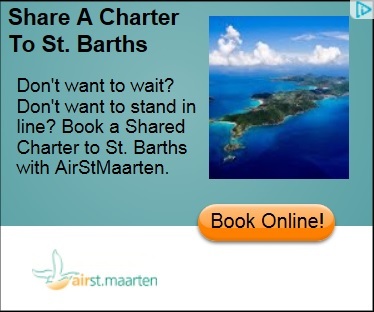 AirStMaarten has been successfully organizing shared charters to St. Barths since November 2006. Travel Agents and clients book our shared charters for seamless connections and hassle-free transfers to St. Barths and surrounding islands such as Anguilla, St. Kitts, Nevis, St. Eustatius, Antigua and Tortola. 1) If 1 or 2 people request to share a private charter, the shared charter is scheduled. 2) Once 3 or 4 people book the shared charter, the shared charter is confirmed and you are good to go! If the shared charter is not confirmed, passengers are booked on a regular commercial flight with complimentary VIP Services to ensure their transit is smooth and hassle-free. Visit www.sharedcharters.com for more information, scheduling and availabilities. Adformercial: StMaartenTours.info offers you the opportunity to book your island tours in advance to your arrival on St. Maarten, whether for the day by cruise ship, or during your vacation stay on the island. We have a wide range of island tours to choose from, including air tours, city tours, beach tours, mountain tours, historical tours, shopping tours, restaurant & bar tours, all day tours, jeep safari tours and our various popular water sports activities. Visit St. Maarten Tours, Trips, Transfers, Excursions and Taxi Services! Click here! Email our Sales Department at AirSXM.com for information about our attractive pre-season travel agency discounts for private and shared charters and VIP services to St. Barths. We are offering significant agency discounts on charters booked for travel during the 2015-2016 winter season. Contact our Sales Department for more information on our agency discount rates. 3. ARTICLE: "Sad Stories About Leaving St. Barths"
"Sad Stories About Leaving St. Barths"
When I was a kid growing up, the saddest song I ever heard on the radio was "Tell Laura I Love Her" by Ray Peterson. Ever since, leaving anywhere or saying goodbye to a place I love brings back that song to my mind from the depths of my boyhood memories. So I am sure this New Year will be the saddest time for many people leaving St. Barths like many other departures in the past as every departure from St. Barths has a hint of sadness to it. Many ease the pain by ensuring that they have already a villa for the next year reserved, the deposit paid, and thus knowing exactly when they'll be returning to St. Barths. 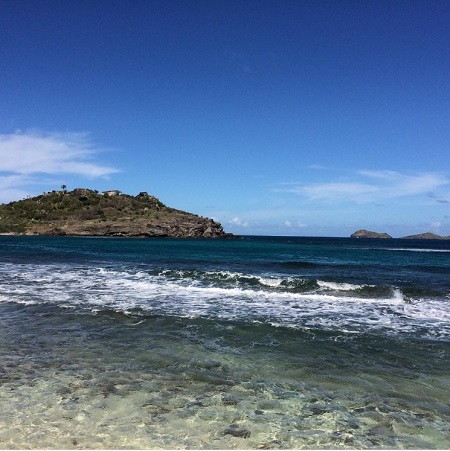 Some leave without knowing when they will ever return to St. Barths. LIke the sad story that occurred many years ago when a wife and her husband and their two kids, now adults, after a lovely family vacation on St. Barths, their fifth trip, but due to unfortunate "life circumstances" they were facing upon their return home, knew in her heart that this was quite possibly their last trip to their favorite place on earth. Taxiing down the runway to leave St. Barths on that dreaded morning, she literally shed tears. It was a physical pain in her heart, she wrote explaining to me. Terrance Rey is owner and managing director of Let's Travel, Travel Anywhere and AirStMaarten. Terrance Rey has 15 years experience in the travel business as a travel agent, tour operator, charter broker and as an internet travel entrepreneur. You can email Terrance Rey directly via terrance@airsxm.com with any questions you may have relating to your international travel needs. Visit http://www.airsxm.com/vipservices and http://www.sharedcharters.com for more information. 5. NEWS ITEM: "AirSXM.eu Publishes Last Newsletter Issue"
This will be the last AirSXM newsletter published on AirSXM.eu in this format. This a a little tale about a hotel in the Caribbean. thought we'd send you a little musical souvenir. Starting in the new year of 2016, publications will be published on the AirSXM Blog at http://www.airsxm.com/blog. Most travelers dream about getting an operational upgrade to first or business class, at least once. It is time you turned the odds to your favor. Imagine yourself flying first or business class, pampered by the most attentive cabin crew, sitting next to celebrities and executives, all sipping on their champagne or slipping into the complimentary pajamas provided in first class, tucking in for a good night sleep in a fully reclining flatbed seat. I guarantee you will forever be the envy of all your friends! 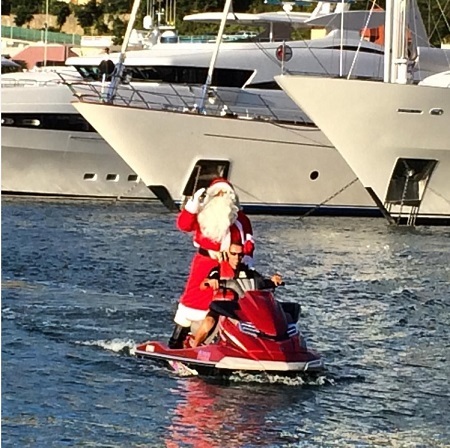 Santa is coming to St. Barths this Christmas. Stay informed on developments at AirSXM, Inc., by subscribing to our mailinglist, click here or send an email to mailinglist@airsxm.com. We will never share our emailaddresslist with others. We appreciate your trust and respect your privacy. If you want to book a private jet charter to St. Maarten or anywhere in the world for that matter, just email info@reyjet.com or submit a quote request online at www.ReyJet.com. We have access to thousands of private jet aircrafts around the world which are available with just one phone call or email. Call +1-721-527-4133 today or email info@reyjet.com now.